Despite taking 10 points against Kibworth on Saturday, Barkby United remained very much involved in the relegation battle at the bottom of the Premier Division. The 46-run home defeat left them ninth in the county league’s top flight and just nine points and two places above second-bottom Langtons. Kibworth won the toss and chose to bat first, but lost their first wicket when Troop took an excellent catch off Waplington to dismiss Craven for four with the score on 21. Troop then took an even better catch off Waplington to dismiss county player Ali for 12, but Patel and Peel then put on 74 for the third wicket before Callum Smith trapped Patel lbw for 51. 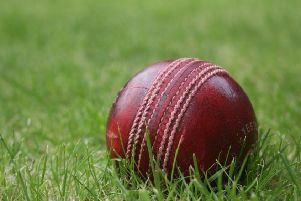 Smith bowled an excellent spell from the Beeby Road end to claim another four wickets as the home side dismissed Kibworth for 227 as spinner Steve Flowers also picked up two wickets. Barkby openers Botting and Troop put on 46 in reply before Botting was given out lbw for 30. With the score on 78 Wood was also given out leg before for five, yet there was still plenty of hope with Flowers and Troop at the crease. They took the score to 134 when Flowers was caught and bowled by Shaw for 45. And when Troops inning’s came to an end soon after, bowled by Jackson for 40, the Barkby innings folded as spinners Shaw and Jackson claimed the final seven wickets for only 42 runs. Barkby First XI travel to Loughborough Town on Saturday for a 12.30pm start, while the Seconds host Barwell with a 1pm start. Bowling: L. Botting 10-3-48-0; R. Waplington 10-0-47-2; A. Morris 3-0-26-0; C. Sharp 10-1-25-1; C. Smith 10-1-37-5; S. Moore 3-0-16-0; S. Flowers 2.5-0-16-2. Barkby: L. Botting 30, M. Troop 40, J. Wood 5, S. Flowers 45, B. Silver 19, S. Moore 1, C. Gilbert 2, A. Morris 10, R. Waplington 7, C. Smith 1, C. Sharp 0*, Extras 21. Total: 181.